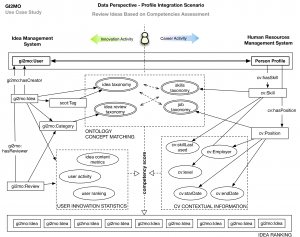 Following the earlier introduced concept of Linking Enterprise Data for Idea Management, we have constructed a simple demonstrator that shows how to rank ideas and suggest idea reviewers based on the links between idea creator and his extended profile information in the HRMS (Human Resources Management System). Gi2MO Use Case Study: Idea ranking based on extended user profile. Our implementation assumes the links between systems have been made and exploits them to extract personal data and compare it with idea metadata. 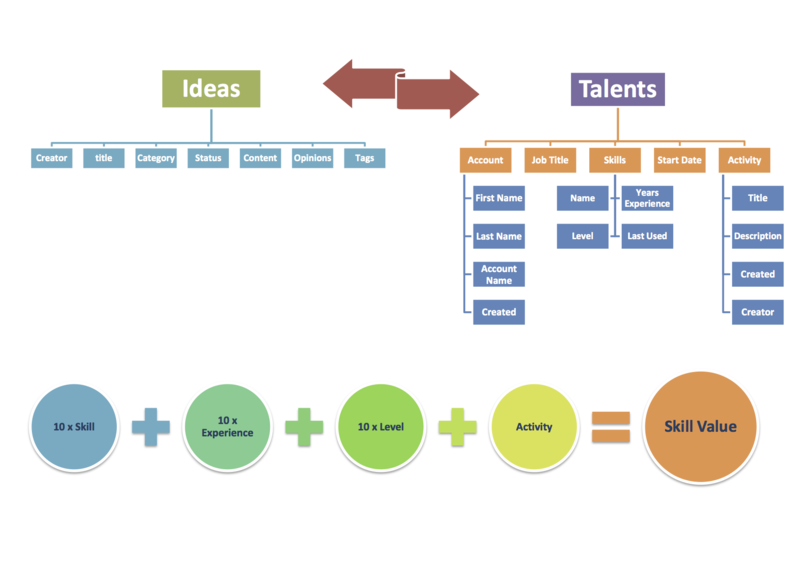 In particular, we compare the skills of people with the topics of ideas that they created and use information from the CVs to rank the overall knowledge of the person in the relation to a given idea. Since the implementation is only supposed to be a proof of concept we use fairly simple calculations for ranking. Idea ranking algorithm used in the prototype. For privacy reasons we present the demo of the application with some fabricated data to give an overall impression how the solution works (IdeaStream | HRMS Data Endpoint). For the application source code and the module integrating it with IdeaStream please see the apps section. Credits for constructing the application and integraiting it with IdeaStream go to Daniel Quilón González. The prototype has been constructed as part of the demonstrators for the Resulta project. As a reminder, the presented application and the use case are one of many that we have pointed out earlier. 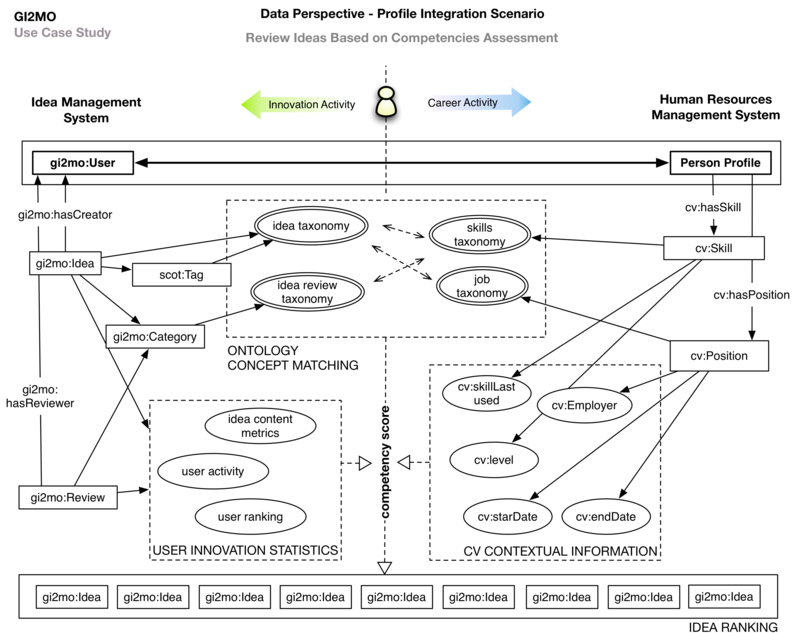 For more concepts like this check out the Linked Enterprise Data for Idea Management or read our research paper on this topic.